Every organization wants and needs strong leaders. But pure, brute-force strength can be as much a liability as an advantage. Think about the South American gaucho of older times taming wild horses. Obviously, a wild horse has tremendous strength, and that strength could be put to use in countless agricultural and transportation applications. 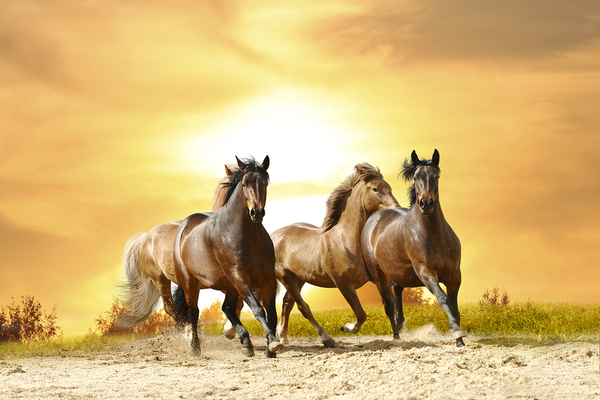 A team of wild horses has immense power, which in a physics sense has to do with energy transferred per unit of time. When that power is aligned, far more can be accomplished in a shorter period of time. Sheer strength is impressive, but without direction it can be remarkably destructive. But when that power exists without alignment, not only will no work be accomplished, the result could be destruction. Similarly, strong leaders whose goals are aligned can take businesses to unprecedented levels of excellence, while a C-suite full of strong-minded leaders with their own agendas can end up wreaking havoc. Here’s what organizations must do to ensure leaders pull the organization in alignment with common goals. Leadership alignment does not mean an executive floor full of clones. If all the leaders are alike, then what’s the purpose of having so many of them? Leaders can have their own goals and reach them to the benefit of the entire organization as long as all leaders are in pursuit of common, overarching goals of the organization. Naturally, different leaders will approach their tasks differently. The CIO will look at a goal from the point of view of someone who wants to ensure the IT infrastructure is equal to the tasks ahead, while the CFO looks at the goals with an eye toward maintaining financial strength. And while there will be conflicts along the way, when leaders are genuinely pursuing aligned goals, it’s far easier to work through those conflicts productively, without any single leader getting everything their way while another completely loses out. Aligned leadership goals benefit the entire organization. Those are all major benefits that should never be dismissed. 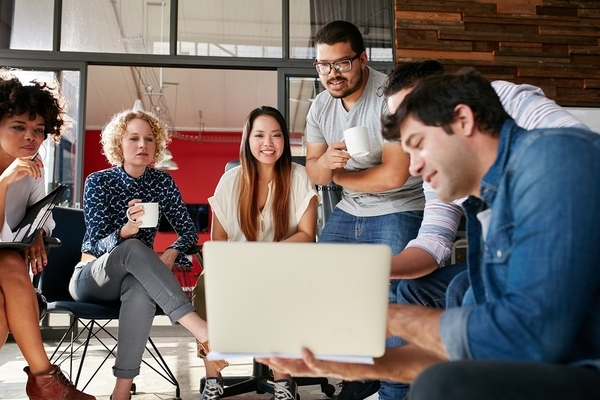 When employees understand their individual and team goals and how they contribute to overall organizational success, they’re more engaged with their work, and more productive. And when goals are aligned from the outset, there will be less backtracking or trial and error in putting strategies into place. There will likely also be less duplication of effort. These efforts result in more highly engaged employees, and the value of an engaged workforce is enormous. One widely-quoted Gallup poll found that companies with large numbers of disengaged workers experience 51% higher employee turnover – an expensive and time-consuming problem. Communication is at the heart of goal alignment, as it is with most other aspects of successful operation of an organization. In today’s tech-soaked world, there is simply no excuse for leaders not communicating with each other. Someone’s being out of office or on an important call doesn’t prevent information from being shared, since we have so many effective modes of communication. Top leaders must not only set an example of regular, meaningful communication, they must encourage it among the entire leadership team, ensuring everyone has the resources they need to communicate effectively. One of the main purposes of leadership coaching is ensuring that a new or emerging leader works effectively with other leaders. Often, executive coaching clients specifically request help with skills like effective communication and the emotional intelligence necessary to see situations from multiple perspectives. In my many years of leadership coaching, I have seen in person the positive changes that ensue when top-level leaders learn how to lead in alignment, and I have been fortunate to help organizations and leaders develop their ability to do so. If you’re curious about the process of ensuring top leadership goals are in alignment, then I encourage you to learn more about my leadership coaching services. More leaders need to embrace the need for embracing ongoing upgrading of their skills. Hi Ettie, we definitely agree with you. There are a lot of bosses, but not enough leaders!